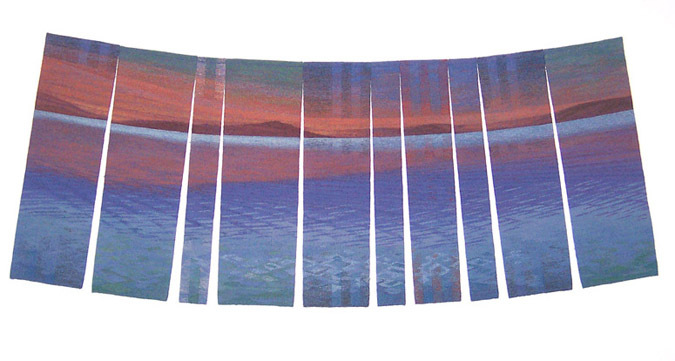 Throughout my career I have enjoyed making a wide variety of commissioned tapestries, which have come to me by a variety of routes, including friends, art agents, casual conversations, exhibition catalogues, and websites. My first commission in 1988 was for a charitable foundation, followed by a number of small and medium sized pieces for private homes. 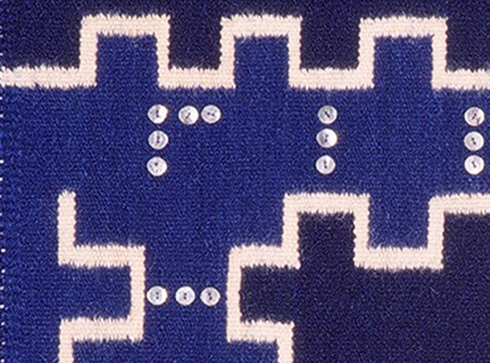 From 1996 until 1999, I was working almost continuously on large corporate commissions, employing up to four weavers and three looms. 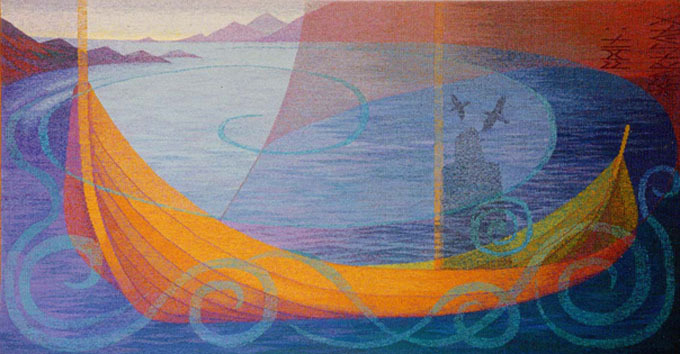 Odin Journeying, woven in 1997 for Royal Caribbean Cruise Lines, is an example of work from this period. Since moving to the far north of Scotland I have woven for a church in Nottinghamshire, a London city boardroom and an Inverness airport cafe, but most of my recent commissions have been for private homes. With Scotland’s main industries of banking and insurance in a delicate state, and given the general financial climate, few businesses are investing in art. Given the current situation, I have decided to concentrate on generating a steady trickle of modest commissions for private homes. On the whole I much prefer to work for people spending their own money. My limited experience of working for larger corporate clients has been that it has been a better-paid, but less creatively satisfying experience. I’m never directly pro-active in the matter of finding commissions. I don’t feel that normal marketing techniques, such as direct mail, are particularly effective, since even if tightly targeted, they are still unlikely to bear fruit on their own. I believe I can access a wider variety of audiences more subtly through exhibiting, through my websites and by opening my studio to visitors, giving talks, teaching and being active in the different communities I inhabit. 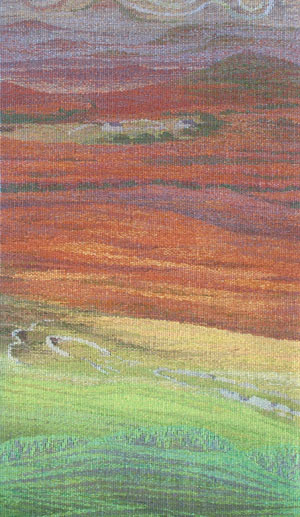 In 1998 I was asked by the owner of the Simon Jersey textile company to create a tapestry installation for his factory. 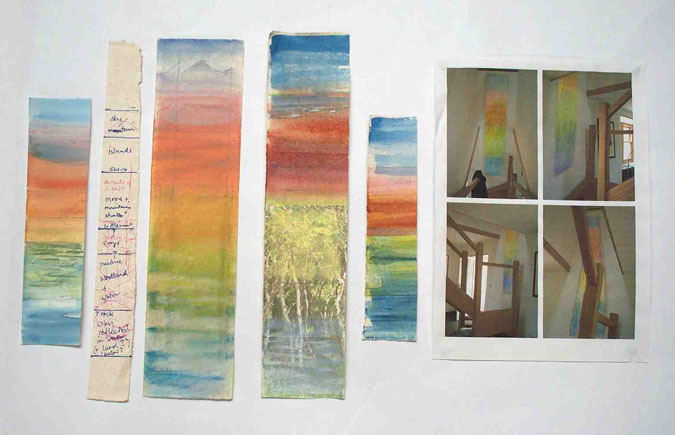 I had built a good relationship with him by participating in the jury for the Simon Jersey Tapestry Prize in 1996; this connection is how the commission came about. The project, produced in collaboration with metalworker Steve Clarke, and woven with assistance from Susan Sherrit and Alison Thomas, was the most creatively challenging commission I have undertaken. 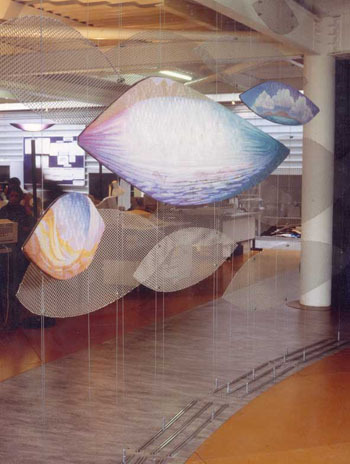 The brief was that I should make a piece that responded to its location in a contemporary building. The work was to function as a physical barrier between two spaces, whilst allowing light to pass through, and retaining lines of sight and access between the spaces. This meant that the piece would hang in space and needed to be two sided. Quite a brief for someone who had up to then only woven rectangular wall hung pieces! 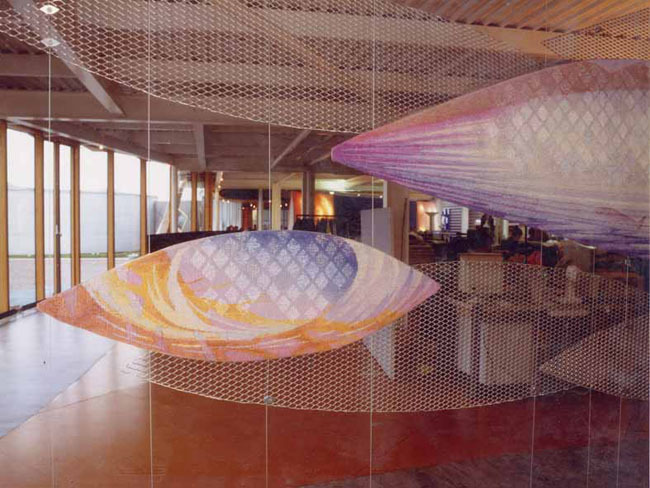 The building contained many references to the sea, so I based my piece on the idea of a shoal of fish and the glitter of nets and scales. Each section is suspended on tensioned wires and the whole thing trembles slightly when people pass. Three of the pieces are shaped tapestries mounted on brushed aluminum, and the rest are made of expanded aluminum mesh. I made many models and samples for this piece during a much longer than usual design phase. 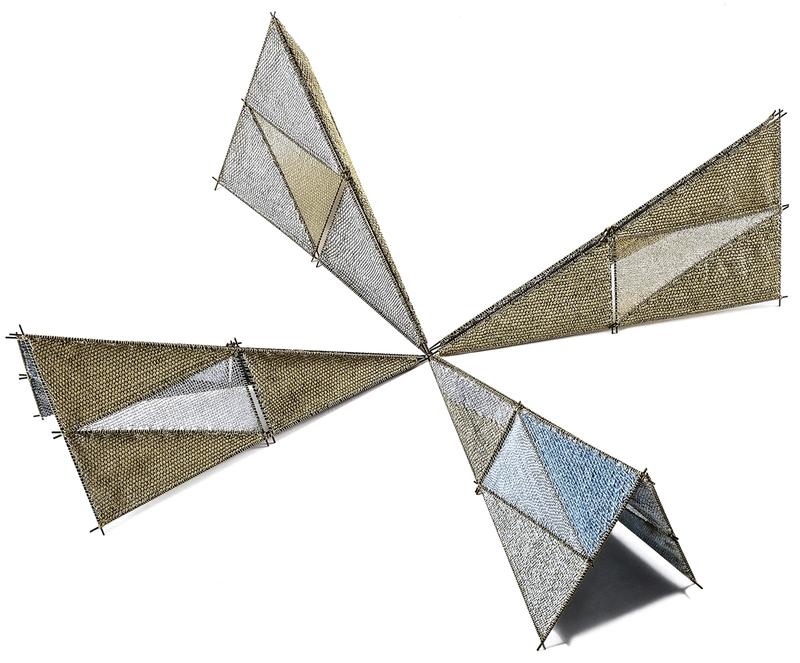 The three dimensional and layered nature of the project made it difficult to draw, and the use of shaped tapestry and unfamiliar materials required much more research and experimentation than normal. I enjoyed the challenges raised by this commission and am very grateful for the trust and commitment invested in me by the company. They had more faith in my ability to deliver than I had at the start. I would love to do another piece like this. My most recent commission, Crossing The Island, completed earlier this year, was for a private home. The clients contacted me via my website, which they found in a regional Open Studios booklet. They had also seen a piece of my work in a local gallery. 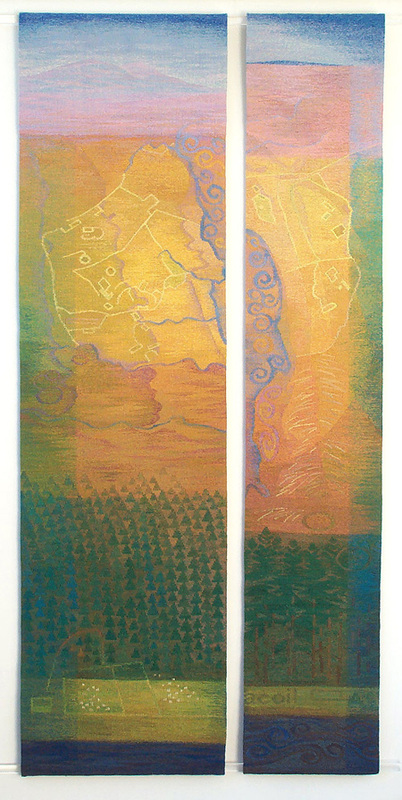 The tapestry was to hang in a narrow stairwell facing the staircase, and the bottom half of the piece would be obliquely visible from the living room, but partly obscured by the stair. This was quite an exciting brief, as the tapestry would be seen from unusual viewpoints and not necessarily all at once. Because the house was fairly uncluttered and neutral, the clients were keen to have something with quite strong colour, but definitely the colours of the landscape. After in-depth discussions of favourite landscapes and walks, a story emerged of a long, solitary, wet romp over a mountain to a remote bothy to sleep. The next morning, a glimmer of low sunshine suddenly revealed a landscape of fields, houses, barns and pathways as subtle shadows on the bare hillside. This story evoked the nature of the Highland landscape for me, so I was very pleased to be able to revisit my favourite theme and to approach it with a new colour palette. 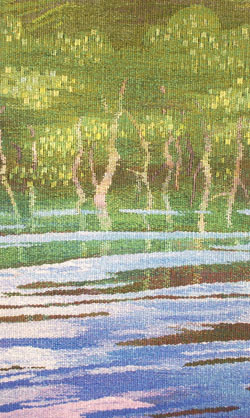 I have woven quite a few tapestries for no specific location, or a location I have never seen, the client simply giving me the size they wanted, or a budget. In some ways this is very liberating as I don’t need to think about anything beyond the edges of the tapestry and I can design whatever I want within the terms of the brief. If I am going to see the location, though, I do prefer to see it before I start to design, as light, sightlines and decor can then be taken into account. Often the space itself suggests a particular design solution. I take photographs and as many notes and measurements as I can, including a floor plan with rough measurements, ceiling height, heights of windows and detailed, accurate measurements of the wall where the tapestry is to hang. I take note of the materials and colours of walls, floor and ceiling and plot the positions of lights, furniture, sockets, switches and exit signs. I also look at the practicalities of hanging the tapestry, ensuring that the walls can be drilled to fix the batten and if not, what the alternatives are. Especially when it is a public space, health and safety issues have to be addressed and the fire officer has to be convinced that wool is not a flammable material and should not be fire-proofed. I do like clients to visit my studio if possible. It is easier for me to show them more examples of work, and it also gives them a sense of where and how their piece is being made. If a studio visit is not possible, I prepare a small portfolio of design source ideas, photographs of previous work and woven samples. I use these materials to give a short, illustrated presentation. Laptop presentations may be the norm in business, but I find it more effective to hand the actual materials around. I can also leave some of this material with the client if they want time to consider. Research for the design starts with talking to the client – finding out what they are interested in, what it is about my work that they like and what they would like their piece to do. At some time during this process a ‘thread’ will present itself to pull, which will eventually give me the theme for the design. 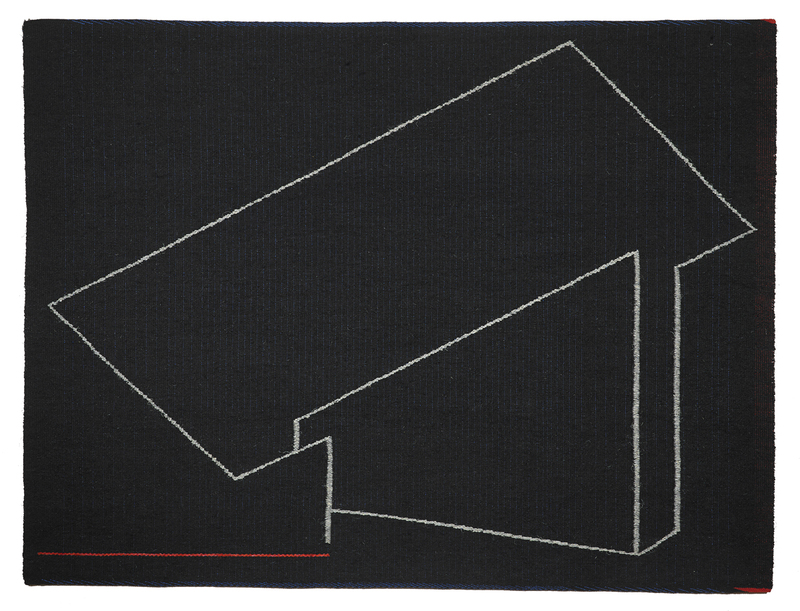 Although I draw the line at designing a tapestry to match the furnishing fabrics, I very much encourage suggestions from the client, especially if they are conceptual rather than specific. Usually clients are already familiar with my style of work and I have never yet been asked to design something that is totally out of character. 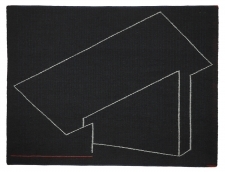 I am never very happy with how my rough tapestry designs look, but as long as the client can see what they are going to get and are confident in my ability to execute the work, then the preliminary design has performed its role. 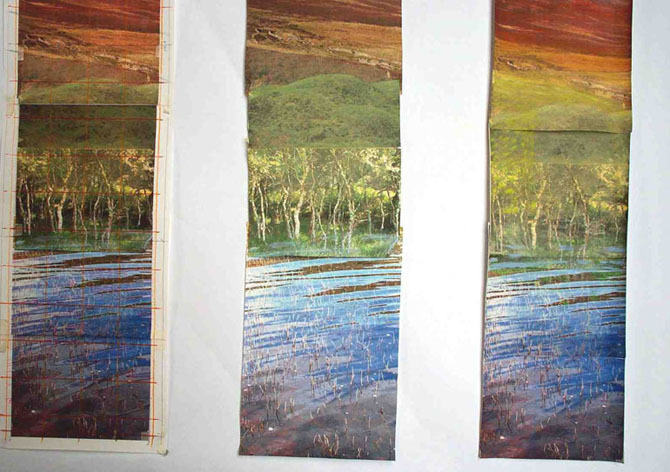 The final design proposal normally includes: several sketches on paper, to scale; an impression of what the finished piece will look like in situ; and woven samples. It will also include the full price, the payment terms and the timescale. I don’t give a delivery date at this stage, as the timescale is dependent on when the payments are made; a late payment means a late delivery. I only ask that clients pay a specific design fee, currently £600.00, if they decide not to go ahead with the commission. This is to make sure that I am paid for the 40 – 50 hours it takes me to create a design to presentation stage. It does not include the thinking and research time, which is usually spread over a much longer period and is part of my normal and ongoing creative life. 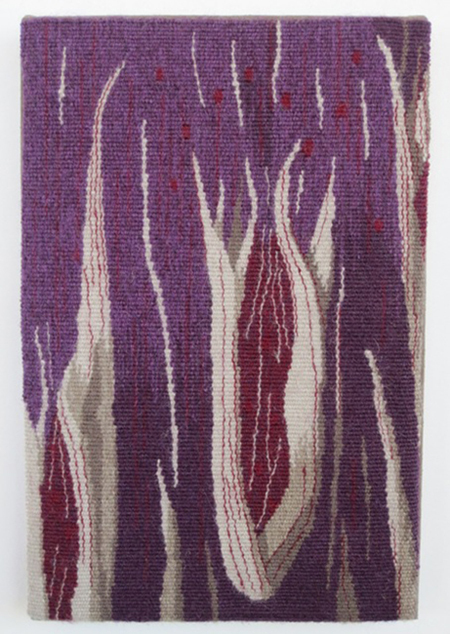 I price my work using a sliding scale of pounds per square metre, currently £2,500 – £4,500, which includes the design fee, materials, dyeing, warping, weaving and normal finishing and hanging. If there are any other costs involved, such as travel, carriage, special hanging arrangements, special materials, etc, they are added to the total price before it is presented to the client. The per square metre cost variation reflects the complexity of the design and the warp sett and is dependant on how long I think the project will take. Depending on the size, I usually ask clients to pay one third of the total cost before weaving starts, one-third at the half way point and one third on delivery. If it is a smaller piece then it may only be two payments, at the beginning and end. With larger, more expensive projects, I make sure that we both sign a simple contract, which states clearly what each expects of the other and who is responsible for what. For smaller commissions, payment up front of half the fee is a suitably binding arrangement for both parties. Finishing a commission on time is one of my unbreakable rules and I’m proud to say I have never delivered late. Setting a realistic work schedule from the start is the key. The slow nature of tapestry means it is very difficult to make up much time if the schedule is proving to be too tight, so it is important to build in extra time for unforeseen hold ups. I usually add a 25% time contingency, and am often very glad I did. I spent two years in the 1990s working 60-hour weeks to reach unrealistically tight deadlines and I sometimes think I’m still recovering from it. I was younger and hungrier then and the money I earned built my studio. Nowadays I’m happy to work to deadlines provided they are comfortably achievable. I am also prepared to walk away from projects that would involve unrealistic working hours. 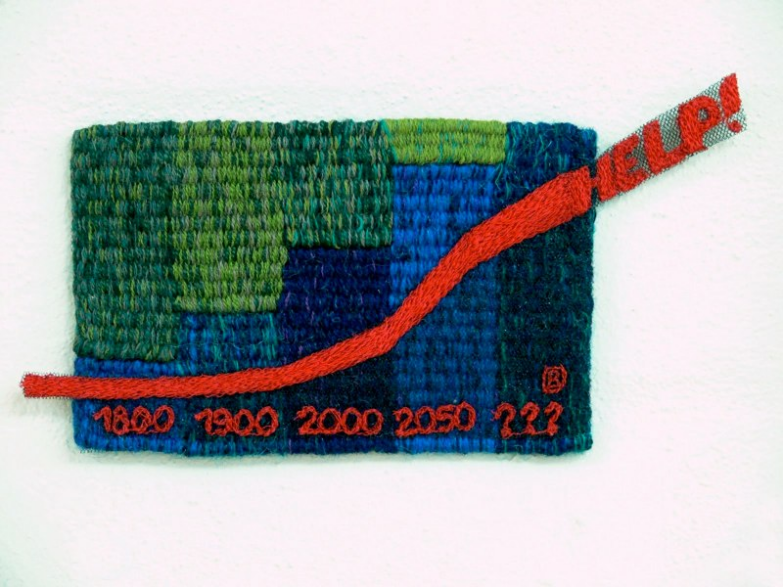 Since making work to commission is a vital part of my business, and since I spend between a quarter and a half of each year working in this way, it’s important that this output is as creatively valuable to me as my other tapestry projects are. Working to commission can stretch me beyond what I design for myself and can force me to explore areas I might normally bypass. Often a commission offers me the chance to develop a theme I have already visited in previous tapestries and I always find something new as well. Sometimes whole new themes and colour schemes emerge, which I then pursue in future works. 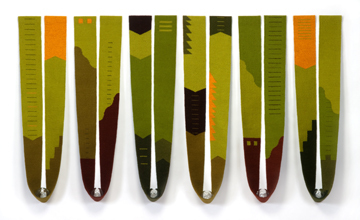 The idea is that the relationship between my commissioned and speculative work is symbiotic. Full Tide is an example of this. 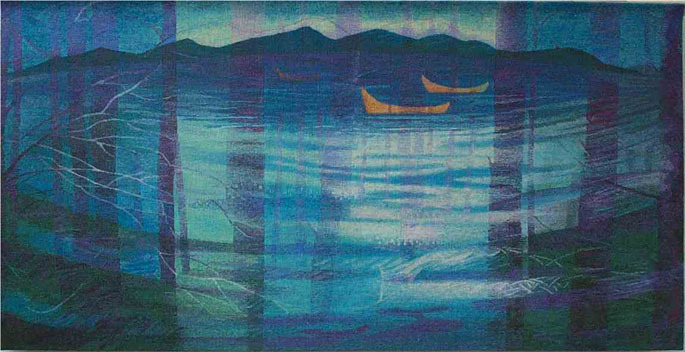 The design combines three of my recurring themes – water, landscape seen through trees and boats – and is the precursor for my tartan inspired tapestries and some more experimental tree pieces. Full Tide was originally designed to hang on a pale turquoise ragged wall in a white meeting room with purple leather furniture. I was intrigued and excited by the colour combination, although I was not quite certain how tapestry would look against the textured paint. 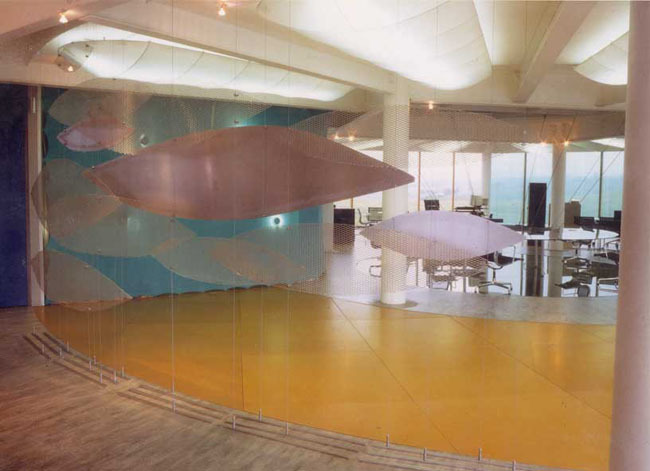 The tapestry was never actually hung there, as the company moved offices and I never saw where it ended up. One of the best things about working to commission is that I get paid while I am weaving. 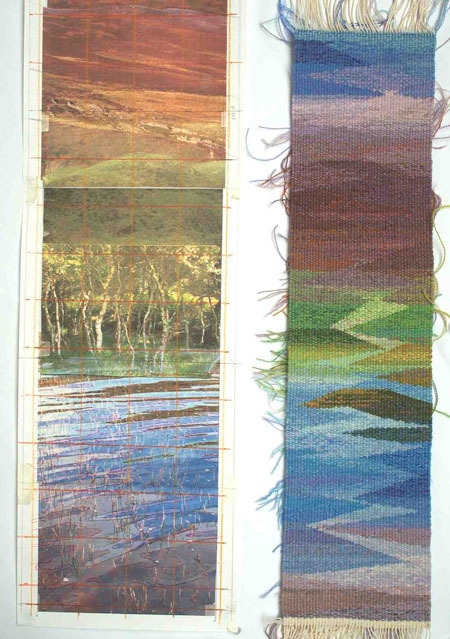 A large commission means I can afford to weave my next tapestry speculatively. The down side of spending so much of my working time on commissioned tapestries is that I rarely have enough available work for solo exhibitions, but it is a balance with which I am mostly happy.